Call Griffin Hospital School of Allied Health Careers at (203) 732-1276. Now offering winter classes for Certified Nursing Assistant (CNA), Patient Care Technician (PCT) and Phlebotomy programs! Classes for the CNA program will be Monday through Thursday from 9 a.m. - 1 p.m. starting Jan. 14. The day PCT program and the Phlebotomy program begin Jan 15. Funding available through Meritize for the medical assistant program only. With a Meritize loan, you can enhance your credit evaluation and improve your loan options by sharing your academic profile. Providing your transcript – whether high school, partial or full college or previous skills-based school experience lets you get credit for your merit and fund your education. Get Started on a New, Rewarding Career! 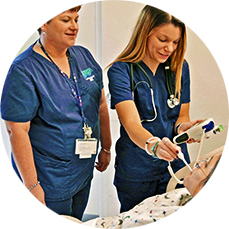 The School of Allied Health Careers provides exceptional healthcare education with knowledgeable and experienced teachers who are nationally certified or master’s prepared nurses. Students get ample hands-on training in patient care at Griffin Hospital and an extended care facility. Accredited by the Connecticut Department of Higher Education and approved by the State of Connecticut Department of Health, the school offers one-on-one teaching that has helped its graduates achieve a high rate of success on certification tests. Also, the school boasts a strong job placement rate with most graduates quickly finding positions at Griffin or other area hospitals. Students include those seeking second careers, recent high school graduates, and everything in between. The Phlebotomy and Patient Care Technician Course is open to anyone 18 years or older with a High School Diploma or GED or 17 years of age with a high school diploma. A pre-admission interview and application fee are required prior to enrollment in the class. Requirements for the Certified Nursing Assistant Program you must currently be a high school senior or have already obtained your diploma or GED. Griffin Hospital School of Allied Health Careers now offers an Accelerated Certified Nursing Assistant Program. With a total of 104 hours, you can become a state-certified CNA in just five weeks! Day and evening classes will be available based on enrollment and interest. Day classes are available and the first four weeks of the program will be with classroom education and skills Mondays through Thursdays from 9 a.m.-1 p.m. The final (5th) week will include clinical experience at an extended care facility and Griffin Hospital, Monday through Friday from 7 a.m.-3:30 p.m. for the required 40 hours for CNA certification completion. 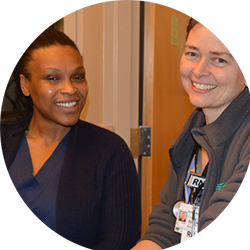 Course content includes infection control, legal and ethical responsibilities, communications, body mechanics, moving and positioning residents, personal care skills, nutrition, measuring vital signs, and restorative care. 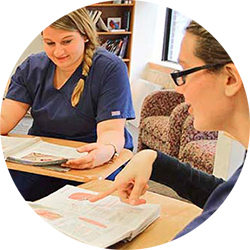 Successful completion of the course and clinical experience qualifies a student to take the state exam for certification as a Nursing Assistant in Connecticut. Tuition includes the course book, Heart Saver CPR class, and malpractice insurance coverage for clinical rotations. Anyone 18 years of age or older with a high school diploma or GED may apply for admission. Become a PCT in just 16 weeks! Patient Care Technician courses are offered three times a year, beginning in January, May, and September. Upon successful completion of the program, students are eligible to sit for both a national Patient Care Technician Exam and a National Phlebotomy Exam. Become a phlebotomist in just 13 weeks! Phlebotomy courses are held three times a year, beginning in January, May, and September. Tuition includes lab coats, books, malpractice insurance, CPR certification and a national certification exam fee. Become a Medical Assistant in 28 weeks! Griffin Hospital’s Certified Clinical Medical Assistant training program prepares students to become healthcare professionals that specialize in commonly performed procedures. Medical assistants perform both clinical and administrative duties and assist a variety of providers including physicians, nurse practitioners and physician assistants in a variety of settings, including medical offices, clinics, urgent care centers and general medicine or specialty practices. This program also provides the diversity of other job options in the hospital or laboratory settings. 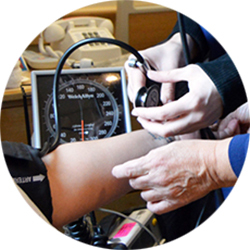 The Medical Assistant course consists of 600 hours of classroom time held over a period of 24 weeks with an additional 160 hour clinical rotation of 40 hours per week for 4 weeks. The class will be held Monday through Friday from 9 a.m. to 2:30 p.m. with a 30 minute break each class. Upon successful completion of the program, students will sit for a national clinical medical assistant certification exam , given at the school. Students will also be eligible to sit for the national Phlebotomy Exam , as well as the National Clinical Administrative Medical Assistant Exam. The clinical externship consists of practical application using skills learned in a clinical setting with a rotation of medical specialties.